I’m sorry if anyone is tired of my juice and smoothie recipe shares, I do have something to mix things up in a day or so! But I found this smoothie to be fruity, sweet, green and oh so easy to make 😀 I was just geeking to share! I wanted to make good use of my beet tops so I grabbed 5 beet tops (the greens), soaked and washed them well (very dirty typically). The night before I had went overboard on organic local cherries at the Farmer’s Market once I heard that this was the last batch around plus, they were extremely juicy and magically delicious last time 😉 ❤ So I froze half a cups worth of pitted cherries to use for a smoothie in the morning if I felt like it, it's always great to have frozen fruit around the house. For some people this might help them feel inspired or motivated to make smoothies, homemade sorbet and so on. It’s honest to goodness not a big deal at all if you do not have maca in the house, I used MacaForce by HealthForce SuperFoods which happens to have vanilla and ginger in it. If you are more of a chocolate person please feel free to use chocolate instead, either way tastes excellent! You can even use a scoop of your favorite protein powder, and if it unflavored (sometimes called natural, which seems silly to me) and half of a vanilla bean or a teaspoon or more of cacao. I would love for this recipe to be easy for anyone to make at home, and hopefully for it to not be a huge expense either. I think this is why I tend to lean towards making juices, smoothies and salads on my site. I will be posted some salad recipes in a few days. If anyone is interested in more nut-free, sugar-free, oil-free recipes and etc. please let me know! I do try to use very little oil, salt, nuts and sugars in my foods so it would be great to hear if this is something others see as being high in demand as well. Blend until the consistency is just right for you and enjoy! One cup of raw cherries has just a little over 80 calories, you can get your sweet fix and not feel guilty 🙂 Cherries have been linked to; anti-inflammatory benefits, reduction in pain from gout and arthritis, as well as an extensive list of heart health benefits. Some researchers believe that cherries can help reduce post-exercise muscle & joint pain. So now to convince those out there that beet tops are tasty 🙂 You all have probably had them in a salad before but I am going to talk a guess that not too many people have juiced them or blended them in a smoothie. The beet tops do taste “green and earthy” however, the flavor is nowhere as strong as kale or spinach. Fruit especially makes them difficult to taste. So if you are feeling a bit uneasy about trying this recipe out, please give beet greens a chance! Beet greens are high in vitamin a, which stimulate white blood cells so you are heavily protected from infections. This also means that vitamin A can play a role in cancer prevention. Super awesome fact to remember, especially if you are a veghead and want a little “take that” phrase; if you regularly consume vitamin A-rich plants like beet greens, you are at a much lower risk of developing cancer than if you get your vitamin from animal products. Vitamin A is also crucial to vision health, especially preventing night blindness (something my mother shows symptoms of having that I am petrified of getting myself). I have previously shared my Dark Sweet Cherry Coconut Chocolate Protein Shake Recipe, if that sounds more like your thang! I’ve also done a Red Velvet Juice Recipe using cherries & beets. 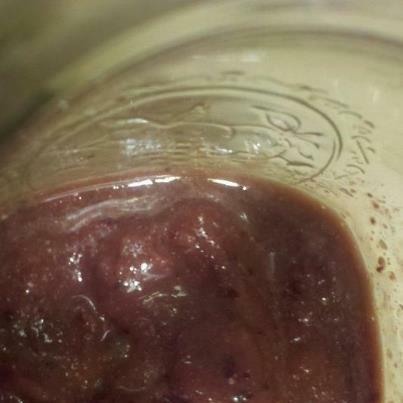 Category: Uncategorized	| Tags: are beet green edible?, are beet tops edible?, coconut oil, health benefits of beet greens, Health Benefits of Beet Tops, Health Benefits of Cherries, how to use beet greens, how to use beet tops, is it okay to juice beet greens?, is it okay to juice beet tops?, lime juice, macaforce, raw, raw beet greens, raw beet tops, Raw Vegan Smoothie Recipes, Smoothie, vanilla maca, Vanilla Maca Cherry Smoothie Recipe, Vanilla Maca Cherry Smoothie Recipe Raw Vegan, Vegan, vitamin-a rich food, what do beet greens taste like?, what do beet tops taste like?